Pssst! Did you know that if you’re looking for a machine-washable yarn for a specific project, all those yarns have their own separate section in our online shop? Here’s the easiest way to find them: From the Online Shop main page, move your cursor over to “Yarn” on the far left of the menu bar. Hover over that word, and a menu will drop down displaying the different weights of yarn you can choose from. 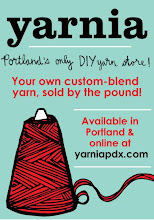 I just checked, and there are currently 51 different yarns in this section, that are all machine-washable! (Unsurprisingly, many of these yarns overlap with our “wool-free” section, which we implemented earlier this year as we’ve been noticing so many of our customers wanting yarns that don’t include wool — or any animal fibers at all for that matter.) You can get to the Wool-Free section by doing this exact same thing, and selecting “Wool-Free” from that same drop-down menu. Our Online Shop has a new look! How do I use that tag cloud in the Online Shop? Online Shop Survey :: Win a $25 Gift Certificate!